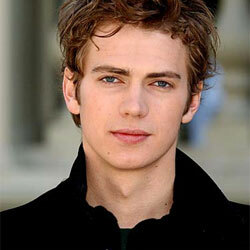 Hayden Christensen (born 19 April 1981 in Vancouver, British Columbia, Canada), is a Canadian actor. He starred as Anakin Skywalked (Darth Vader) in the movies, Star Wars Episode II: Attack of the Clones, Star Wars Episode III: Revenge of the Sith, and also Life as a House, and Jumper. Hayden Christensen was replaced in April 2010 by tennis star Andy Roddick as the face of Lacoste Challenge fragrance.